Receive a reliable house price estimate with a home appraisal from ACJ Financial, Inc. in Port St. Lucie, Florida. Your property value is dynamic and changes with current market trends, so leave the analysis and research to our experts. 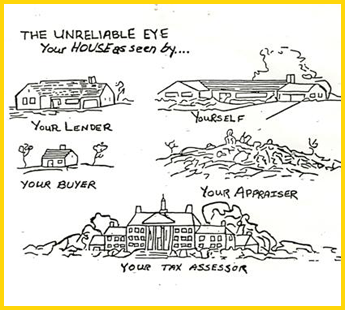 We'll provide you with an appraisal report that helps everyone from homeowners and buyers to lenders and tax assessors. Ensure you're getting the most out of your investment when you're ready to sell your property. We've spent more than 15 years working in Florida's real estate industry, and can provide you with the most thorough and dependable appraisal possible. Schedule a meeting with us to find out what your home is worth today. We are Federal Housing Administration (FHA) approved and all appraisals are USPAP compliant. Our practice is always fully up-to-date with the latest technology. All reports are transmitted as PDFs for your convenience.